When the New York Central Terminal is raised as a topic in Buffalo, what usually comes to mind is the station on Paderewski Drive. 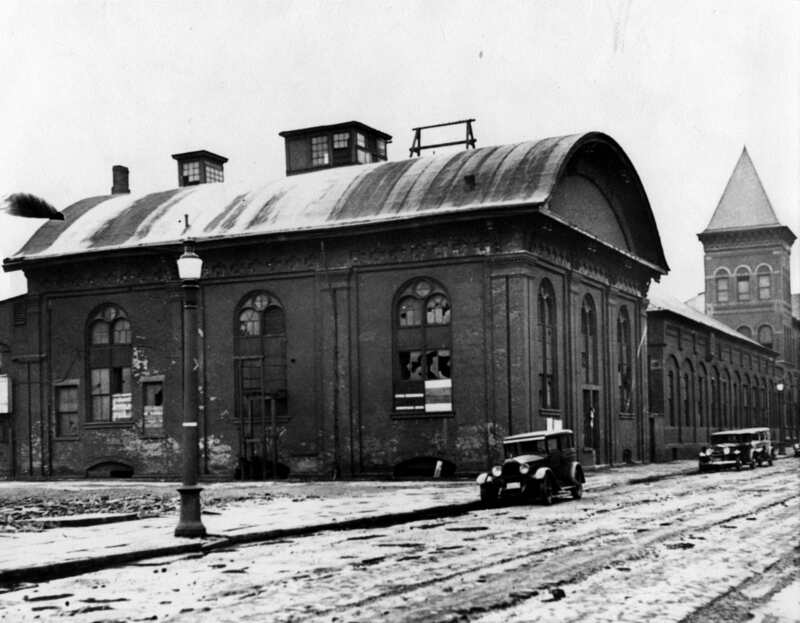 Prior to 1929, the “Terminal” was actually located on Exchange Street near Michigan Avenue. Decades of indecision on where to locate a central station led finally to the New York Central Railroad constructing a new station on the East Side. Here, in about 1930, is the wreckage of the old station built in 1870 and abandoned in 1929. The station was demolished in 1935. REUSE! Combine National Guard and Reserve units at the terminal. There is space to march, parade and store war equipment – jeeps, tanks, trucks, bazookas etc. and shoot guns – and dig foxholes! Current facilities on Connecticut St., Masten Ave, N. Forest Road, Colvin Blvd. and the Marine Reserve place next to the Yacht Club could all be sold as they are in prime locations. Save the terminal and improve the neighborhood with a decent reuse rather than another museum or whatever at taxpayers expense.